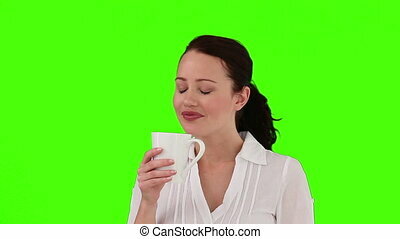 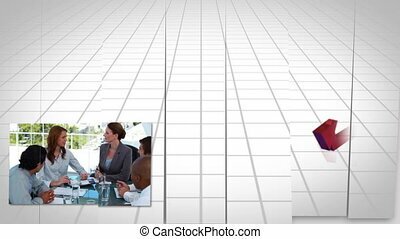 Brunette woman drinking a cup of coffee in her living room. 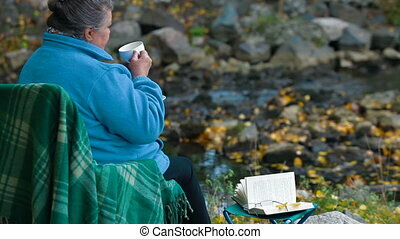 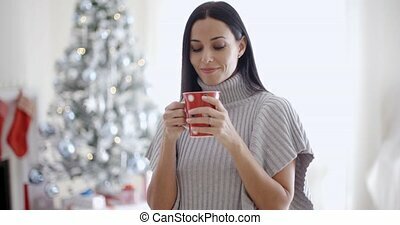 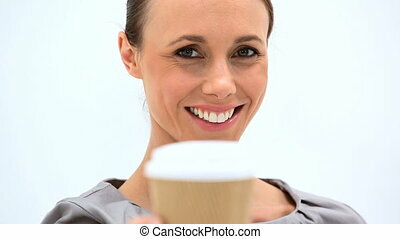 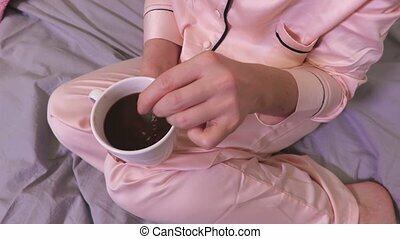 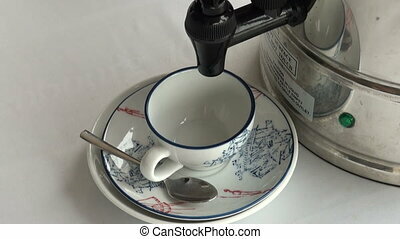 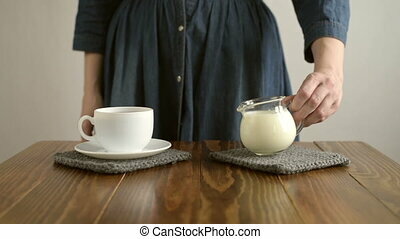 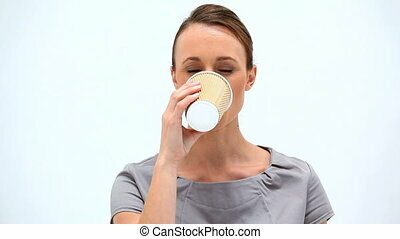 Woman drinking a hot coffee in white cup. 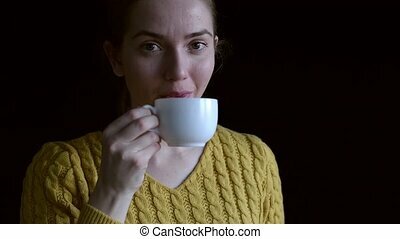 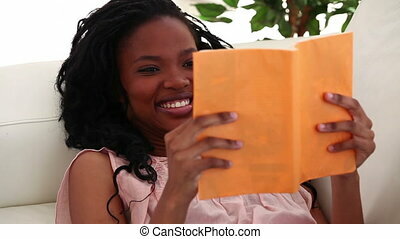 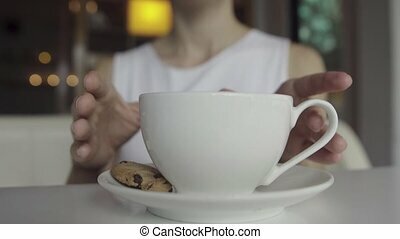 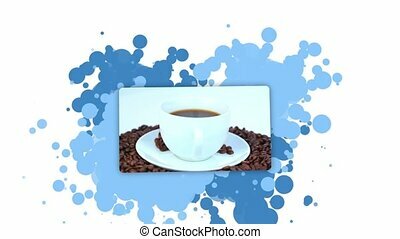 Video of an attractive young woman drinking a coffee.